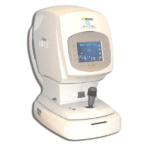 The refurbished tonoref II M3 from Vision Equipment Inc., offers the same space and time saving features as well as the dependability of the original M3, because it is 3 instruments in one, the only one of its kind. 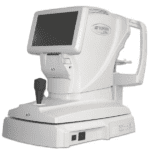 The M3 presents several enhanced features such as a smaller footprint, to save even more space, and a new exterior design, but most importantly, the M3 now uses SLD (Super Luminescent Diode) and a highly sensitive CCD device to provide Zonal Ring-Image Technology. 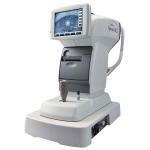 This makes it possible to now accurately measure patients with cataracts, corneal opacities, IOLs, and post LASIK. 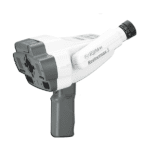 The RightOn Retinomax 3 Compact, light weight wireless handheld Refractometer With just 969g (equipped with battery), it is 11.1% lighter than previous Retinomax 2. 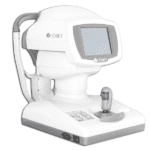 The center of gravity is design in the grip handle make it even much comfortable to hold.Wide measurement range and high accuracy. 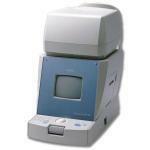 Great for infants or small children, but with the wide measurement range on par with table type Ref, it is suitable on most of the usage with high performance and accuracy result. 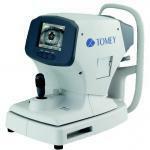 The Tomey RC 800 Autorefractor provides simple, easy measurement by the operator at an economical cost, without compromising accuracy or reliability. 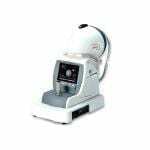 Functions include USB connectability, a high-speed printer, auto shot, color touch screen and access to ten different languages. 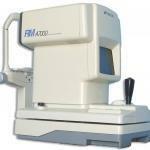 The Topcon RM A7000 is a small footprint model with a built in TV monitor to facilitate alignment and measurement. 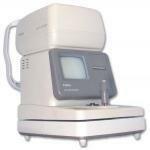 It features an automatic PD measurement, an automatic sleep mode and a built in printer. 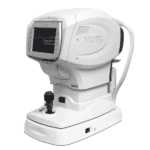 Viewlight is proud to present the New Autorefractor Keratometer Viewlight Smart RK-11 is the new generation of ophthalmic equipment.The main characteristics of this professional equipment are his unique design and friendly use.